I love it when patterned paper makes cards like this so easy -- it justifies buying more. LOL! Linda, what a great way to use some patterned paper that fits the cue perfectly! 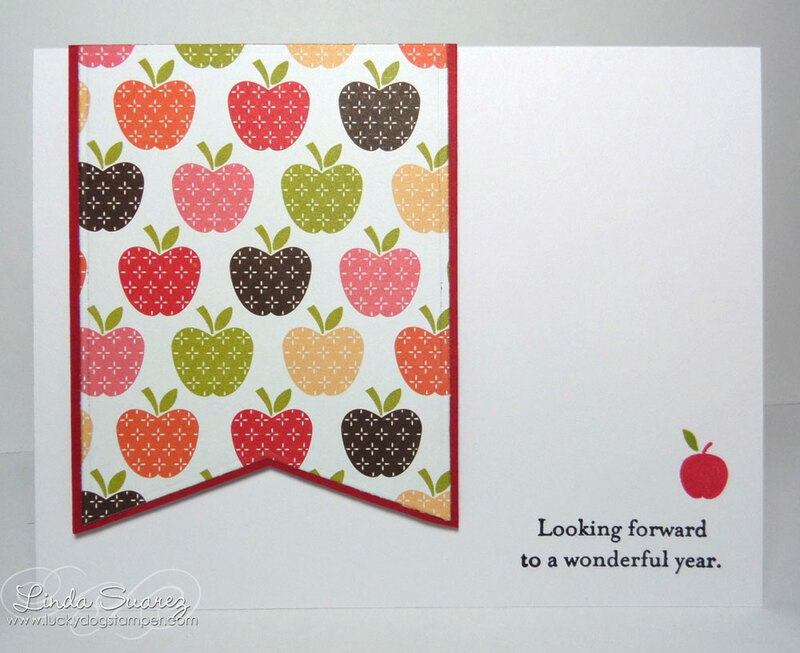 I love the little stamped apple near the sentiment, too! So glad to have you playing along at CASology this week! I love how you used patterned paper on your clean and simple card and it remained clean and simple! Lovely layout! So glad you joined us at CASology this week! That print is wonderful and the tiny apple in the corner is very sweet! Looks like it's going to be a 'banner' year! Love your clean design! Thanks so much for joining us at CASology this week! That IS the perfect paper for this! :) Love that sweet little apple you paired with the sentiment!! !